Got bugs? We are the best dogs you can hire to solve your pest problem! 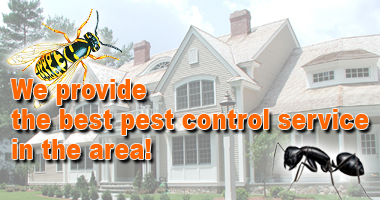 We provide the best pest control service in the area! No one else does better service. We charge a reasonable amount of money and provide the best service to you! Our service covers any pests in and out of your home, including but not limited to ants, termites, bees/wasps, spiders, roaches, mice, rats, fleas, bedbugs , centipedes, millipedes, and moles. Most of our jobs are guaranteed for either 60 days or one year.